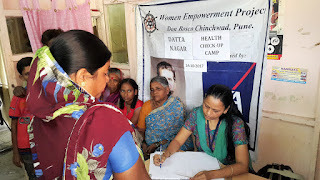 14-October-2017, Chinchwad (Pune): The Don Bosco Development Society (DBDS), Chinchwad organized a free Health Check-up Camp for the people residing the slums of Datta Nagar in Chinchwad. 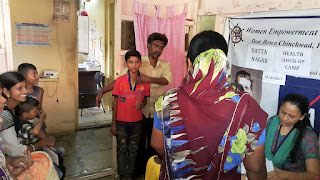 More than 100 people including children, men and women were medically examined and provided medicines by the medical team from Shankardham Clinic. 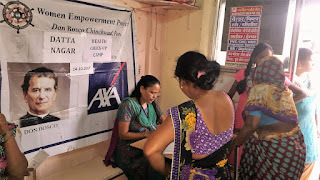 This camp was conducted under the aegis of ‘Women Empowerment Project’ supported by AXA Business Services Ltd. 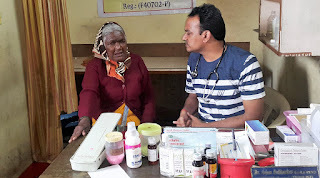 This health camp was held in association Shankar Dham Clinic and Sai Prasad Clinic. 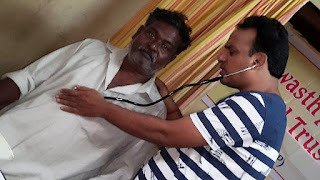 Dr. Arjun Pokharkar along with his para-medic staff examined the people. 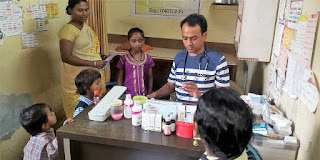 Majority of patients were suffering from Respiratory tract infection, Anemia, eye infection, fever, arthritis, cough, cold, GRDS, worms in children, joint pain, skin diseases like boils, scabies etc. People were grateful to Don Bosco & AXA for holding this camp in their area.